Truro is known as the “Hubtown” because of its original location and importance in Nova Scotia’s railroad system. Passengers either continued on to Halifax or changed trains in Truro for other areas of Nova Scotia. The local farming community depended on the railway to transport their produce and, during both World Wars, the trains were the main source of transporting troops to Military Bases around the province. Victoria Park, a 400 hectare natural area in the center of the town, is a natural collection of local flora with great “double-decker” walking trails. 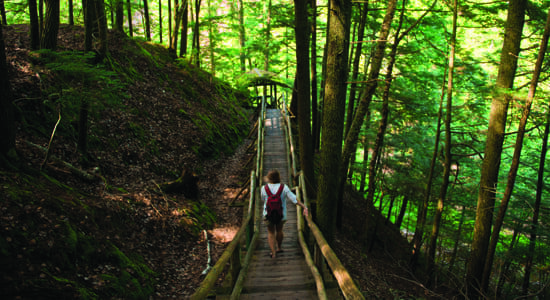 You can enjoy the main trails or scamper up and down the many steps (e.g. Jacob’s Ladder) to the upper level trails. The Cobequid Trails are another way to discover our area by walking or cycling. The variety of architecture in the houses and public buildings provide a visual aid to the area’s history as you walk around town. Some original buildings have been refurbished/renewed and have been re-purposed. The Colchester Historical Society Museum is a genealogist’s delight as many visitors come hoping to find information about their ancestors in Central Nova Scotia, one of the first settled areas of British North America. The Little White Schoolhouse Museum brings back a lot of memories for those who attended one-room schoolhouses in rural areas. The Glooscap Heritage Centre gives insight into the Mi’kmaq culture and ancient legends of Nova Scotia’s First People. 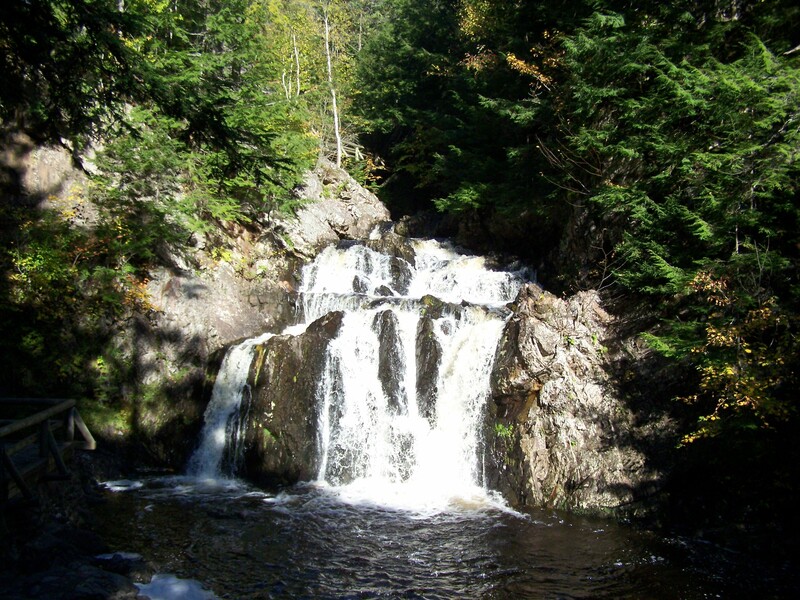 The Mi’kmaq word for Truro was “Cobequid” or “place of rushing water”. This is in reference to the twice-daily tidal bore which arrives in a wave of water from the Minas Basin to fill the channel of the Salmon River at the top of the Bay of Fundy. Unfortunately, many visitors translate the words “tidal bore” to mean a tsunami which it is not. The phenomenon of the tidal bore lies not in the size of the wave but instead in the volume of water and the speed at which it travels to fill the channel in a five to ten minute period. 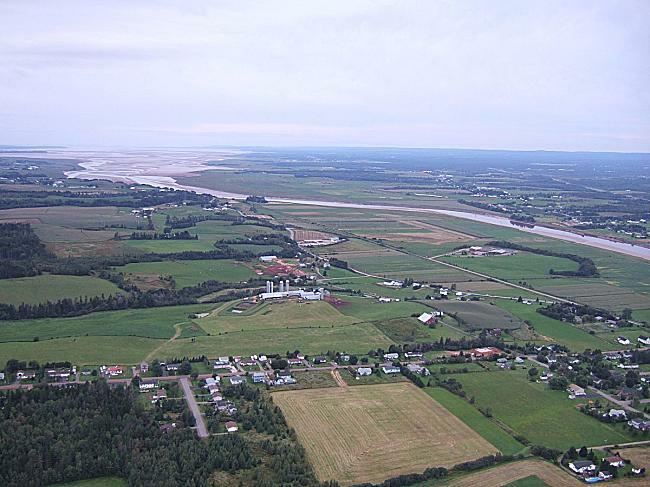 At the Interpretive Centre on Tidal Bore Road, you can see a short video demonstrating the tidal bore phenomenon of the ocean salt water moving up the freshwater riverbeds, before viewing the real occurrence. The Marigold Cultural Centre provides an on-going roster of concerts and plays for all ages. The week-long Nova Scotia Provincial Exhibition is scheduled every August. There are two post-secondary educational institutes in the area; the Dalhousie University of Agriculture and the Truro Campus of the Nova Scotia Community College. At the Dal campus you can walk through what will be the “largest rock garden in the world”. This is a garden for four distinct seasons which is still a work in progress being created by the “Friends of the Garden”. For local winter activities, please enjoy downhill skiing at Ski Wentworth and snowmobiling at the Fundy Trail Snowmobile Club. In fact, the Suncatcher B&B offers discounted lift tickets for Ski Wentworth! 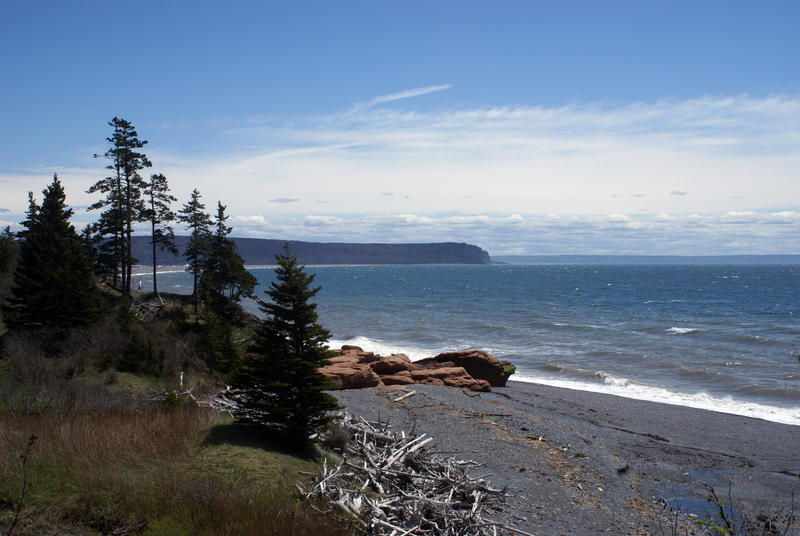 Cast your travel net to explore beautiful Nova Scotia from the hub town of Truro. A variety of day trips from the Suncatcher B & B is provided for your reference. Navigate each image using the arrows to view Day Trip options …From Suncatcher B & B to . . . 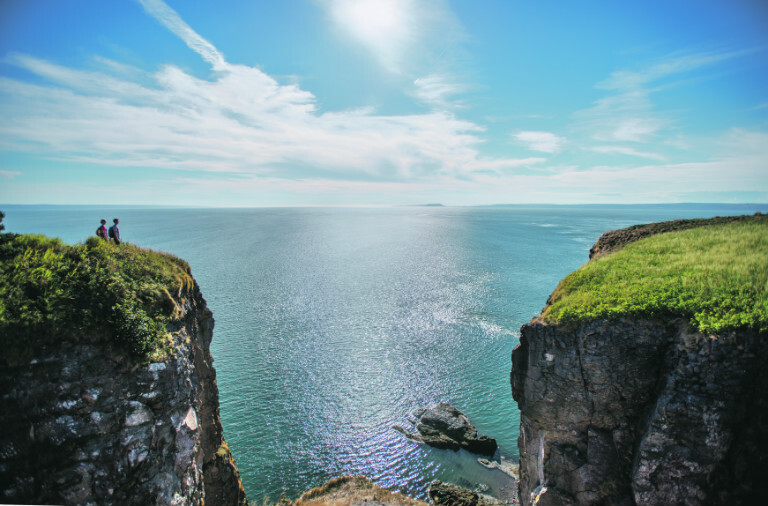 There are two routes to take to Cape Split. You can drive on Hwy # 102 to Shubenacadie then take Rte # 14 to cross the green farmlands of the Rawdon Hills to Windsor or drive the Hwy # 102 to Lower Sackville then onto the Hwy # 101. Rte # 311, the road behind Suncatcher B&B, takes you to Brule where the warm salt water of the Northumberland Shore beaches is a balmy 22C during the summer months, “the warmest beaches north of the Carolinas”.